We've rounded up all the best UK boutiques so you can find the perfect place near you to find your dream dress. These beautiful London-based boutiques are the epitome of style grace. We love the gorgeous double fronted boutique in the heart of Islington, with a complete bridal accessories boutique next door. This experienced, family run team have the knowledge and passion to guide you to your perfect wedding dress. The styling is effortlessly glamorous with vintage themes and all the gowns are made, altered or restyled in their own London workrooms. This internationally renowned designer produces über-luxurious gowns, and the experience the flagship store offers is exactly what you’d expect – glamorous, chic and utterly exclusive. They sure know how to make a girl feel special at Blackburn Bridal – from the impressive selection of beautiful gowns to the expert service, you’ll leave feeling like a princess! You’ll get that ‘kid in a sweet shop’ feeling here – it’s full of original ’20s to ’60s bridal fashion, just waiting to be tried on! An amazing bespoke service is also available. If vintage glamour is your bag then Heirloom Couture’s gowns are for you – have yours made-to-measure or choose from their ’30s-inspired screen siren-style dresses. Sophisticated elegance will never go out of fashion – Ms Packham’s boutique, and her dresses, epitomise that idea. Pop down the road to the Accessories Boutique, too. Perhaps the ultimate one-stop bridal shop, Luella’s combines convenience with unashamed girliness, with dress, lingerie, shoes and accessories under one fabulous roof! If you’re fretting about finding your dream dress, then the chilled-out atmosphere inside Pronovias’ flagship UK showroom is for you. You’ll also love the huge range of gowns. At Reflections Bridal Wear in Chiswick, London they want you to feel and look exquisite on your wedding day. They specialise in fabulous designer wedding gowns and bridesmaid dresses. They love weddings and are always on hand to help. They work closely with professionally trained seamstresses and carry out the fitting in their shop to ensure you are 100% happy with your gown. Based in Richmond London, Silhouettes want you to look and feel exquisite on your wedding day. They specialise in fabulous designer wedding gowns and Dessy bridesmaids dresses. Why go to them? They a stunning range of wedding gowns, great service, the entire Dessy UK range and they're less than 30 minutes from Central London. Stephanie Allin is a big name, but there’s no need to be intimidated by this store – the boutique is as girly and feminine as the designer’s gorgeous dresses. This surprising building conceals an unexpectedly intimate showroom, filled with not only bridal gowns, but also bridesmaids and Mother-of-the-Bride ideas. Ready to wear collections are available too. 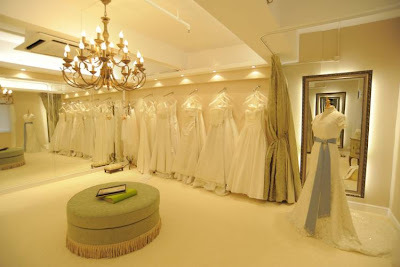 This Beautiful Boutique is a must for all busy London Brides! Open 7 days a week and Evening; the area is served by numerous restaurants and cafes, perfect for a touch of relaxation after a day of Wedding Dress shopping! Just outside London, this boutique bridges the gap between high-end fashion and value – perfect for trend-led, eternally stylish frocks that are sure to wow your leading man! A unique and personal experience in the search for your dream bridal gown and accessories, with views across the Surrey Hills, make it a day out! We have brought UK designed and manufactured contemporary and vintage wedding dresses and accessories to our Surrey boutique. The Wedding Trousseau are passionate about helping you find the right gown to make your day unique. Specialising in designer dresses, you'll find a wide range of elegant, romantic gowns by internationally acclaimed designers. The bridal boutique your credit card dreams about! An eclectic collection of Designer Wedding Dresses, sparkly bridal accessories, Special Occasion wear including something for Mum - all under one roof. The choice is simply amazing! This is an intimate boutique, offering brides their own personal appointment to try on a huge range of fabulous frocks, all designed and lovingly hand made in Britain. This award-winning, appointment-only boutique has a wide range of beautiful dresses, and brides will love the friendly, peaceful atmosphere. At Wedded Bliss, they offer a relaxed atmosphere, friendly service and beautiful bridal wear and accessories. Visit them at their Bridal Studio in Dibden Purlieu, Southampton where they have 'everything' a bride may need for her special day! An utterly chic and sensational luxury bridal and occasion wear boutique near Bath, with a unique and diverse collection of internationally respected designers. Delivering immense style and a fresh contemporary focus on the importance of great cut and couture detailing. By appointment. Situated near Bath, Perfect Day has been established for over 10 years. The boutique's ethos is to provide an enchanting bridal experience that offers high-end designers in a friendly, unpretentious environment. Offering the ultimate personal service, you can have your gown customised, altered or made-to-measure on site in the studio above the beautiful Cheltenham showroom. It’s luxury all the way with this lovely boutique in Bristol – expect a dedicated service and exclusive dresses in an intimate, elegant shop. This multi award-winning "RBA" bridal shop is set in a stunning 'chapel' location at Westgate Retail Park Gloucester. Beautiful, top quality, wedding dresses, exceptional customer service and sensible prices (£500 - £1500). Get the designer experience without the limitations – Sassi gives her brides a choice of other carefully-selected collections as well as her own. Brides who visit The White Room can enjoy trying on exquisite gowns in the luxurious ‘Mirrored Catwalk Room’ and sumptuous ‘Bridal Suite’ making the experience of choosing their wedding dress truly memorable. Conveniently situated in South Leicestershire, this small independent boutique offers exclusive, gorgeous and affordable bridal gowns and stunning accessories along with that all important personal shopping experience. From traditional classics to fashion forward trends, this award winning boutique stock exquisite bridal gowns along with beautiful bridesmaids dress from some of the best designers around. At Jessica Ley Brides, they believe that a bride deserves a truly enjoyable and memorable experience when choosing her wedding gown, along with impartial, truthful and practical advice. You can view a carefully selected range of dresses, chosen from the catalogues of some of the best contemporary designers. Their spacious shop is situated in the quiet Worcestershire countryside and is one of a number of eclectic businesses in the refurbished barns of Craycombe Farm. The moment you emerge from from the spacious changing room you will feel like a princess as you walk down the catwalk , lit by crystal chandeliers. At our beautiful and friendly bridal boutique you will be amazing at our large selection of bridal gowns and stunning Sorella Vita bridesmaids dresses. 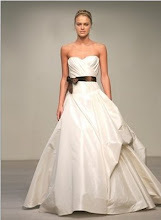 From vintage inspired gowns to the very contemporary, Formal Elegance is a must for all brides. The beautiful Courtyard Bridal Boutique is a true family run business, relax in your own private viewing lounge with a glass of bubbly, and make finding your perfect gown an experience to remember. Winner of Perfect Wedding’s Best Bridal Retailer award last year, All About Eve is something very special indeed. The boutique offers impressive service and a selection of dresses that’s second-to-none. So sumptuous you’ll never want to leave, this bijoux store offers dresses from the best British designers, and prides itself on exceptional service. They also run one of our favourite accessories website – highsocietybride.co.uk. Pembrokeshire is the last place you’d expect to find this oasis of bridal couture, but it’s there – and full of delicious frocks! 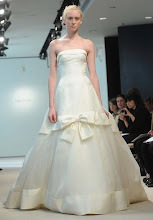 Expect high-end names such as Jenny Packham, and excellent service from the team. 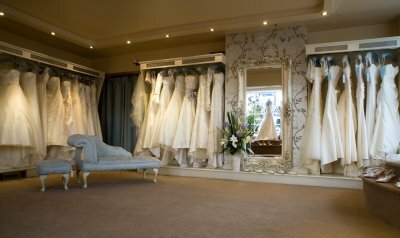 This award-winning business has three bridal boutiques situated in Barrowford, Durham and Silsden. The world's leading bridal designers are showcased in luxurious surroundings, making the search for your dream dress a special, stress-free experience. As well as stocking a fantastic range of bridal designers, Elizabeth of York have an exclusive collection of styles created in their own workrooms, allowing brides to incorporate their own ideas into their dream dress. A made-to-measure service is also available. As the UK's largest My Lady stockist, Fairytale Brides have just won for the second year running County Brides best bridal shop. Fairytale Brides are the premier wedding dress shop in Manchester, offering superb dresses and complementary bridal wear, whilst giving their customers the ultimate standard of customer care. Their reputation is based upon two solid foundations.. stunning wedding dresses and bridal wear at competitive prices and a personal service that is truly second to none. The Frugal Bride pride themselves on offering customers an exciting, stress-free shopping experience, whether they're looking to spend £150 or £1,500. They also stock a wide selection of beautiful plus-sized wedding dresses. Swan Brides Boutique based in Congleton, Cheshire offer a range of stunning wedding dresses, Mother of the Bride and Groom outfits by Linea Raffaelli and Pifer and Mayka, bridesmaids by Twobirds, Mark Lesley and Diane Harbridge, wedding shoes and accessories. Swan Brides pride themselves on their fantastic service and honest advice to help you create the perfect look for your big day. At Wedding Belles of Otley you will find an exclusive one to one service dedicated to helping you find the wedding dress of your dreams. Their Yorkshire bridal boutique provides an exciting choice of gorgeous bridalwear for the modern bride, with stunning gowns from award winning British designers. Key designers: Alan Hannah London, Nicola Anne England, Benjamin Roberts Tia, Impression Bridal, Trudy Lee and Romantica of Devon. Vintage bridal chic has landed in Manchester – enjoy tea and cakes as you play dress up in this utterly one-off boutique. the course of your fittings! This luxe flagship store (along with their Hamilton boutique) is the only Scottish stockist of Stephanie Allin, Blue and Complice – worth a look! If you don’t have a clue what you want, then check out the mix of edgy and traditional designs available at this elegant boutique. These guys are passionate about bridal fashion – check out the wide range of fabulous European designers you have to choose from! Style-savvy brides won’t want to miss the only stockist of beautiful Elizabeth Fillmore, Romona Keveza and Amanda Wakeley dresses to be found in Northern Ireland. Upstairs you can indulge your girly side with Bows Bridal’s fabulously feminine gowns, while on the ground floor you’ll find a treasure trove of must-buys to complete your look in their dedicated accessories boutique.